Hotel El Mesala Hotel is well named: In Arabic, “Mesala” means “Obelisk” Situaded on the West bank of the Nile, Hotel El Mesala is virtually opposite the great obelisk of Luxor Temple. El Mesala Hotel is the perfect base for exploring all that Luxor has to offer. Our guests enjoy the peacefulness of the West Bank with easy access to the city centre (only minutes away on one of our motorboats) and the fascinating history of sites like the Valley of the Kings. Our rooms, with their Egyptian flair, have all the facilities and comforts of home. All our rooms offer either Nile or garden views and are equipped with private bathrooms, air conditioner, telephones and satellite television. Our guests can take a break from sightseeing while lounging by our new swimming pool and enjoying fresh juice from our bar.You can relax and dine on traditional Egyptian food as well as European dishes in our rooftop restaurant with its beautiful views of the Nile and Luxor Temple. 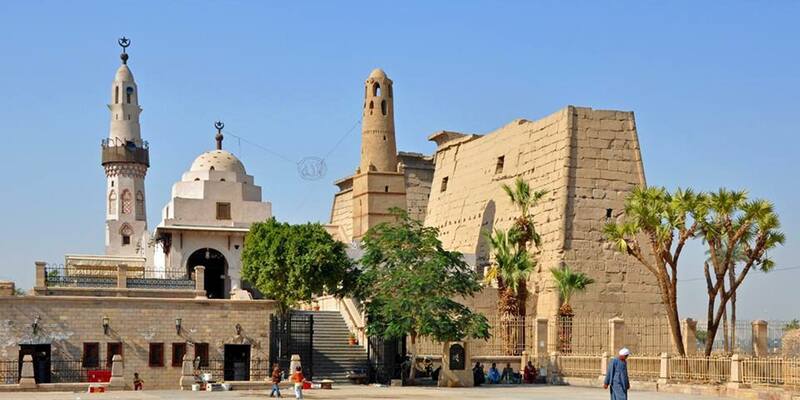 We would be pleased to help you organize visits to the famous monuments in Luxor, Cairo, and everwhere in between. Ask us about visits to Luxor’s sites, the Nile Valley, desert and oasis safaris, and more!